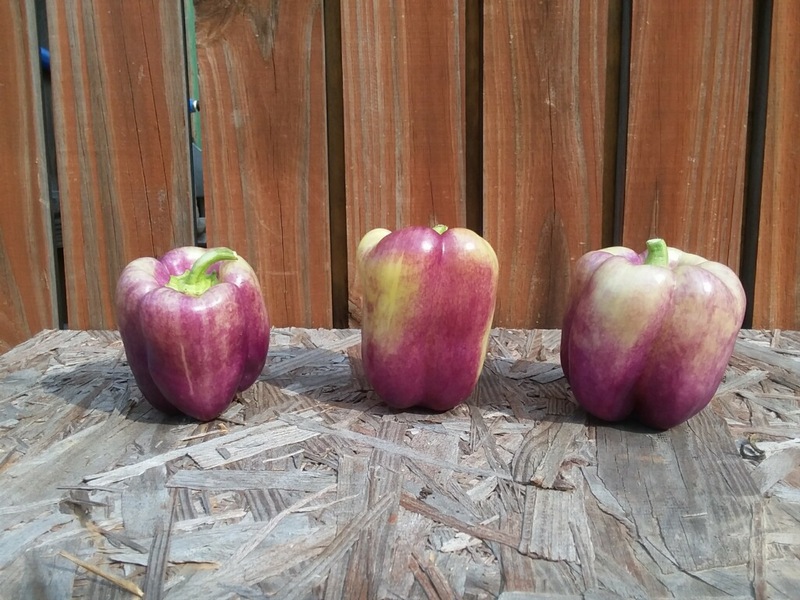 I hope everyone enjoyed all of the produce from their first CSA box of the summer! Again, your boxes will be available from 3:30-5:30 pm this Wednesday June 7th in the Cook Field parking lot. 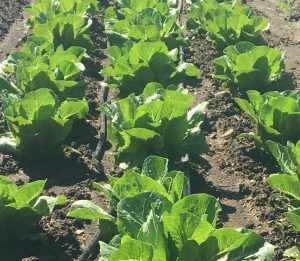 This week we have your official CSA boxes! 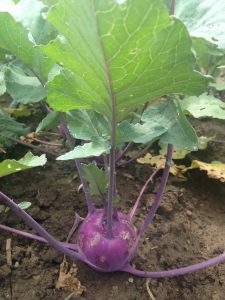 For those of you who aren’t familiar with kohlrabi, the raw leaves can be added to salads or cooked and eaten similarly to collard greens. 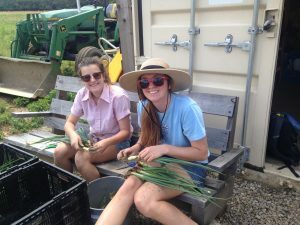 The bulb can be cooked or eaten raw; it is tender and tastes like a more mild broccoli stem. 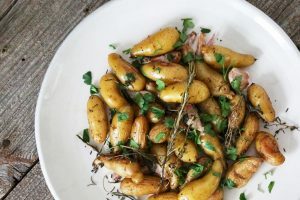 A great kid friendly option would be to shred several bulbs, combine them with eggs and bread crumbs, and fry them in butter or cooking oil to form fritters. 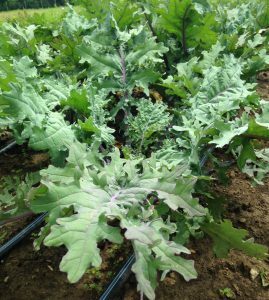 Our Red Russian Kale is a gorgeous heirloom variety who’s stems will not cook down so be sure you are only using the leaf portion! The leaves are tender enough to use in salads. Kale is an excellent source of vitamin C, iron, vitamin A, calcium, magnesium, potassium, protein, carbohydrates and dietary fiber. Enjoy knowing you are getting many of you necessary daily vitamins. 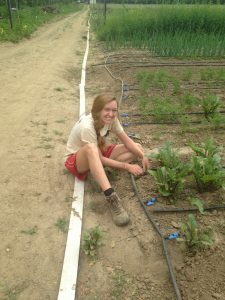 If you are looking to learn a bit more about eating locally and what it takes to produce your own food I would highly recommend “Animal, Vegetable, Miracle” by Barbra Kingslover. 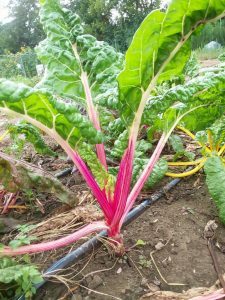 The book includes some great seasonal recipes, one of which utilizes several of the vegetables included in this weeks box! If you would like to put your Romaine lettuce, cilantro, and green onions to good use these Asian Vegetable Rolls do just that. 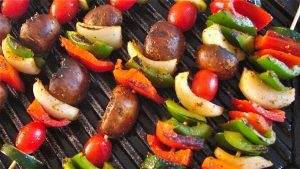 Here Are a few recipes to try with this weeks vegetables courtesy of Aisha Fichtner and Dr. Beth Miller. 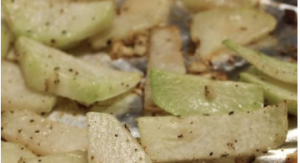 Cut peeled kohlrabi into ¼ inch thick slices. Cut each of the slices in half. Combine olive oil, garlic, salt and pepper in a large bowl. Toss kohlrabi slices in olive oil mixture to coat. 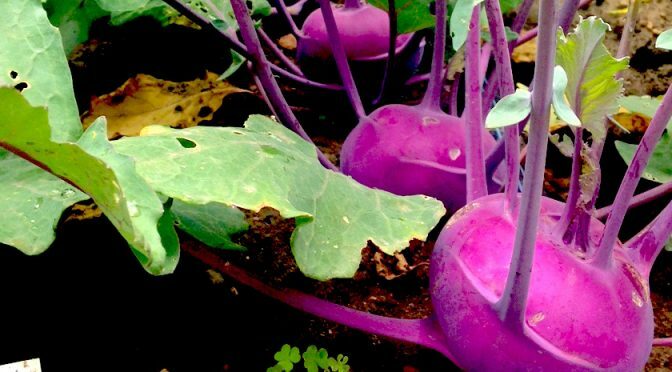 Spread kohlrabi in a single layer on a baking sheet. Preheat the oven to 390⁰F. 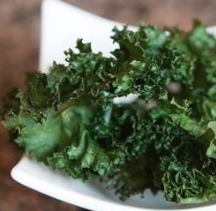 Rinse and dry the kale leaves before removing most of the stalk, leaving long, thin pieces of kale. 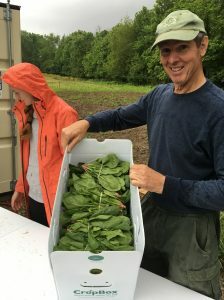 We are looking forward to our first vegetable pick up this Wednesday, May 31, from 3:30pm to 5:30pm in the Cook Field South parking lot near the pavilion from 3:30pm to 5:30pm. PLEASE BRING A BAG for this first pick up. Lots of greens… If you are a green smoothie fan, I strongly suggest trying a mix of arugula, banana, and strawberries. 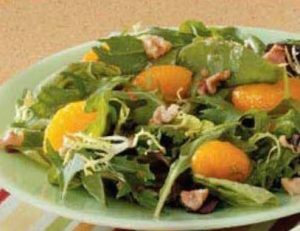 The arugula gives the sweet fruit a spicy tang. You could also blend in some spinach as well. 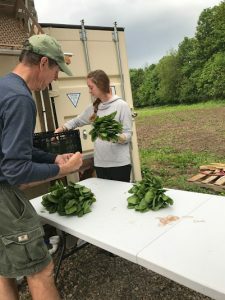 I mix up a cup of ice and a cup of water with 2-3- handfuls of greens and then one banana, and a cup of frozen strawberries (or fresh–Larry Johnson might have some at the Oxford Farmer’s Market). I also mix in a tablespoon of flax seeds for the Omega-3. (You can find these at Moon Co-op). Adding frozen peaches adds to the sweetness. 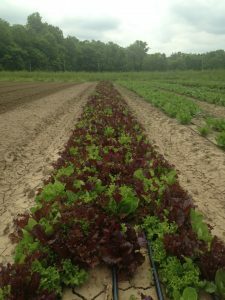 The novelty in the box this week is our spicy lettuce mix (Asian greens). 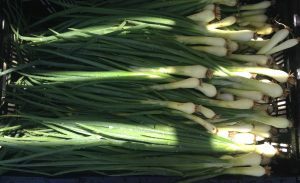 Cut this up and add small amounts in your salad for a picante flavor or lightly braise it and serve with rice. With lots of spinach on hand you might try this sesame steamed spinach recipe from the Delish Blog. 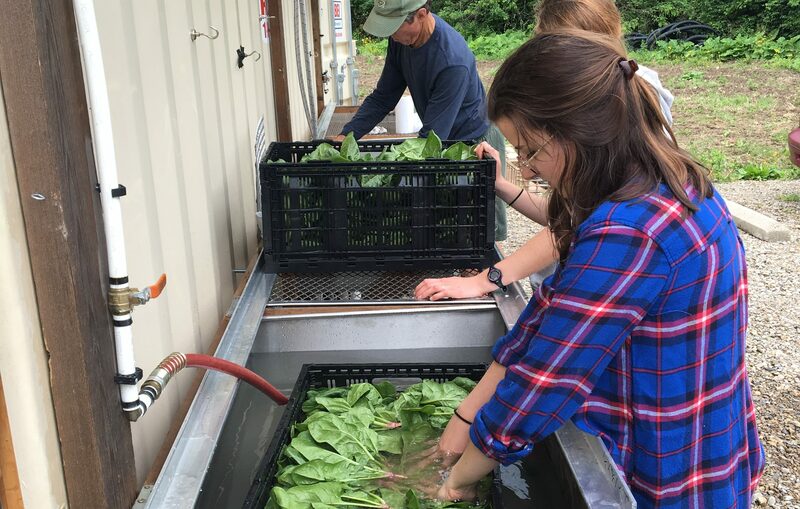 I am also including some recipes developed by our nutrition intern, Aisha Fichtner, who is working with Dr. Beth Miller from the Department of Kinesiology on an Institute for Food nutrition education project this summer. (See below) If you have recipe suggestions, please share in the blog comments. We are looking forward to seeing you tomorrow! 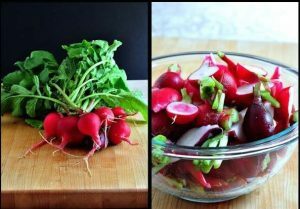 Wash and cut radishes into quarters. Heat butter in pan over medium heat. Add radishes, salt and pepper to taste. Sautee until crisp, about 7 minutes. Add juice of ½ lime for a fresh summer taste. Tear romaine into bite size pieces. De-stem spinach. Wash in cold water and towel dry.